Such a Pretty Mess: Bo Bunny's Mama-razzi2 and Their Amazing Background Stamps!! Bo Bunny's Mama-razzi2 and Their Amazing Background Stamps!! This is a page I made for the Winter CHA for the Bo Bunny booth using the gorgeous new Mama-razzi2 collection! 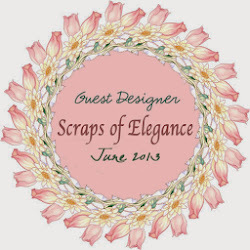 I love the way the papers work well for both masculine and feminine style layouts!. I used loads of their coordinating embellishments on this page and some of their new blooms and lace as well. One of the really cool new things that they brought out at this last show is the Background stamps! I used a few of them on this page above. One is a texture stamp and the other is a script stamp. They have everything from brick walls, chicken wire, stains, script, flourishes and geometric designs! You can view them all HERE. This is another layout I made for the Winter CHA for the Bo Bunny team, this time using the C'est La Vie Collection. I had a cute pic of my little Great-niece Kiera that I wanted to scrap and this collection had all the colors in the photo! 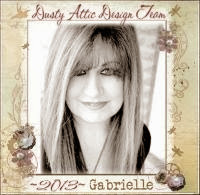 I think I have my eyeballs rolling 360degrees 'studying' your oh so gorgeous layouts Gabrielle. I love the color coordination; very sweet! 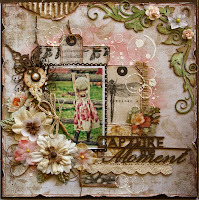 I am just crazy about the gorgeous lay-outs that you made with these stamps! 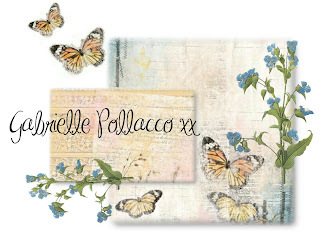 Really love the shabby chic feel to them and the wonderful stamped texture on the background. WOW Gabi, you show use of those background stamps wonderfully! 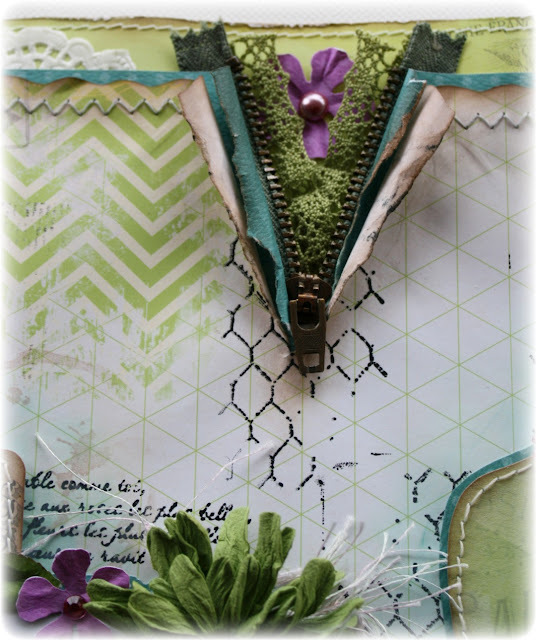 Gorgeous projects, and I love the little blooms peeking out behind that zipper! And your clusters, adding the stamps just makes them that more gorgeous!Your attention to detail makes me think "how does she think of that"!!! Love the little zig zag stitch on the tags, all of the stitching is awesome! Beautiful work as always my dear friend! Ohhh, this is so lovely! Both of them. I lolve the colourcombinations. The green gives them such a harmonius and relaxed feeling. Like being out in the nature. Amazing projects Gabi! I just love all the details you add.. and the stamping.. WOW! I always like to look at the special details you add because its what makes your pages stand out, I really love the zipper effects on the second and the rolled edges in the first layout. Beautiful, beautiful layouts! And look at that sweet baby (how can you possibly be a great aunt?)! I love these colors together; in fact, I just made a card today with the same colors. Have a wonderful weekend! Once again, your work just leaves me breathless. 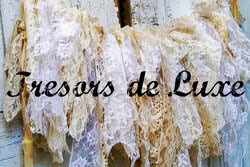 I love the way you combine stitching and lace and paint and paper and zippers! The texture and dimension and artistry are just beyond beautiful. Absolutely stunning beautiful layouts and embellies on both. 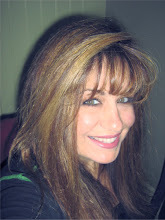 So beautiful Gabi!! Love the tones on these LOs. Stunning work Gabi! I love those background stamps! I ordered the distressed background stamp from SB.com. It should be arriving anyday! Thanks for continued inspiration! Tworzysz przepiękne prace! Zachwycam się nimi już od dawna. 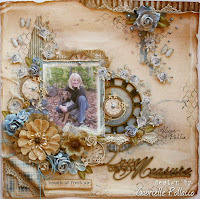 Mixed Media Dusty Attic Journal Cover! VIDEO TUTORIAL: Polymer Clay and Chipboard ATC!! 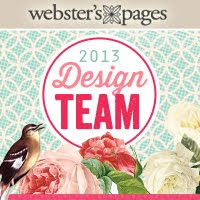 It's Shipping Week at Websters Pages!! Maja Design March Mood Board Challenge!! New Bo Bunny Misc Me Life Journal! Maja Design NEW Collection GIVEAWAY!!!! !